Provide a totally independent and critical analysis of Institutional credit proposals originated by Front Office (Corporate Banking and International Banking). Analyse and evaluate credit risks inherent in Institutional Credit Proposals. Carry out quantitative and qualitative financial analysis and collateral analysis. Make clear and informed recommendations to the Approval Authority, including covenants to mitigate the risks identified in the Credit Proposals. Ensure turnaround time for each Credit Proposal is within the agreed SLA. Ensure compliance with the Bank’s Credit Policy, other internal policies and regulatory guidelines. Originate proposals for Sovereign and Bank limits. Proactively research, analyze and manage data from reliable sources with the aim to preempt risks on the credit portfolio. Computer literate with sound knowledge of word, excel, PowerPoint and Microsoft Outlook. Thorough knowledge and understanding of loan granting processes including credit checks, affordability criteria and repayment terms and conditions. Strong knowledge of Corporate Finance, Structured Trade Finance, Project Finance and Risk Management. Sound knowledge of Central Bank’s guidelines and other relevant local legislations. Excellent planning, prioritizing and organizational skills. Proactive, dynamic and solution provider. Good interpersonal and communication (oral/written) skills. Minimum 3 years banking experience in Credit /financial analysis environment. 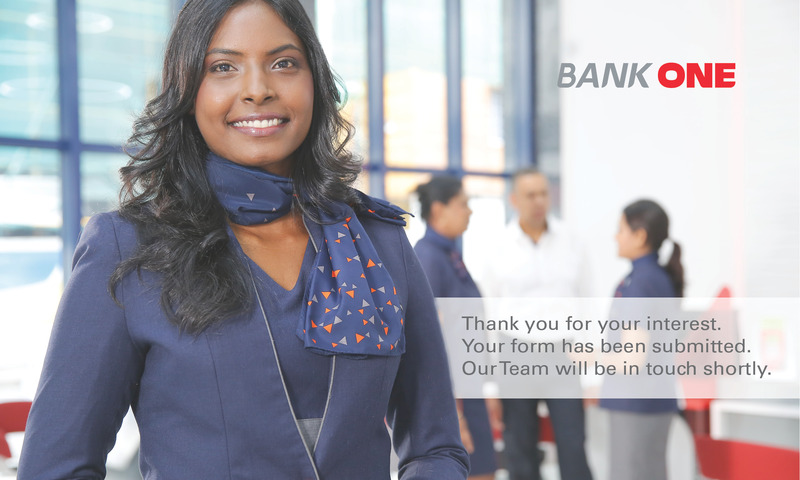 Please ensure all your personal, academic and professional details are up to date before sending your cv and motivation letter through our website https://bankone.mu/en/join-us/ or to the following email address: [email protected] Any incomplete application or those received by post will not be considered. The final choice as to whether the selected candidate should be recruited as Credit Analyst or Senior Credit Risk remains the prerogative of Bank One Limited Management reserves the right not to make any appointment following this advertisement.